This magnificent hôtel, made entirely in the Champagne style, was built in 1553, after the 1524 Troyes fire. Its broad Renaissance-style windows are decorated with iron artwork. The well at the back of the building was destroyed in 1846 and later rebuilt. Its parapet is from the courtyard of the nearby present day Palais de justice. There is an interesting sundial in the interior courtyard. 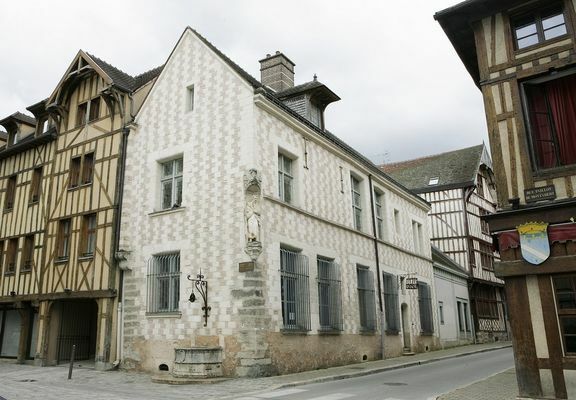 Originally called the Hôtel de la Chèvre, it was renamed by the local population because, as visitors will note, the corner niche contains, since 1605, a statue of the patriarch Moses. The original one disappeared during the French Revolution, but a copy was made in 2001 by the Troyes sculptor Christophe Thomas, following the building’s restoration.